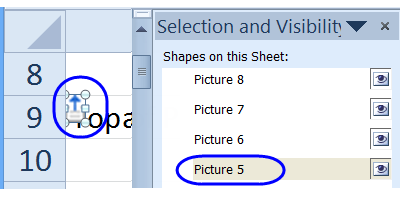 How to add objects, such as shapes and images, to a worksheet. If you copy data from a website, objects might also be copied. 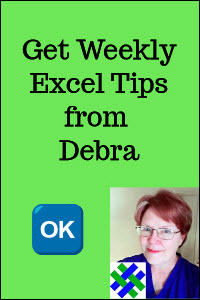 See how to list the objects on a sheet, or select and delete them. 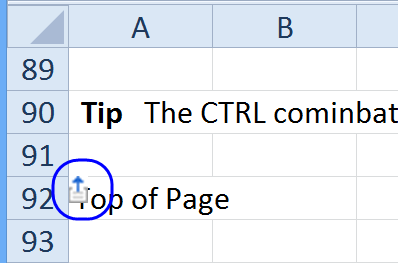 If you copy data from a website, and paste it into Excel, a few objects from the website might also be copied to your Excel sheet. In the screen shot below, there is a "Top of Page" icon -- one of several that was copied along with the data. This tutorial explains how to find the objects, select them, and quickly delete them. Watch this video to see how to show a list of objects, and select and delete the objects. Written instructions are below the video. The Selection pane opens, and there is a list of all the objects on the worksheet. 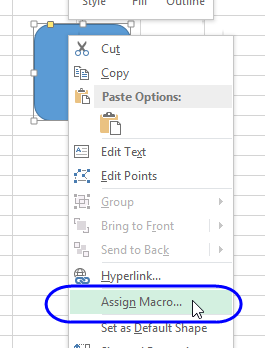 Click on an object name, and it will be selected on the worksheet. 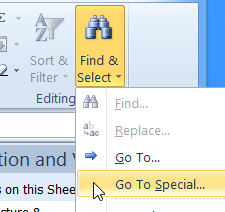 To quickly select all the objects on a worksheet, you can use the Go To Special command. All the objects on the worksheet will be selected. 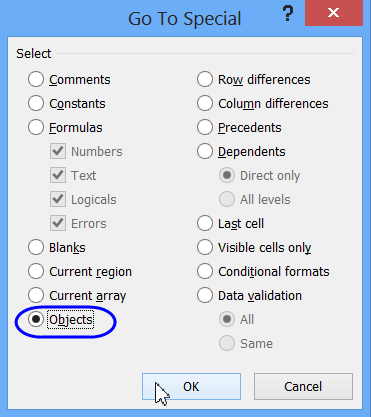 After you select all the objects on a worksheet, or select a single object, you can delete it. 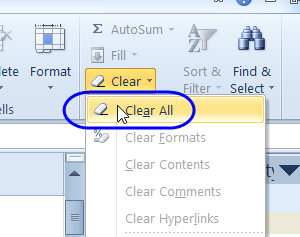 Click Clear All, to delete all of the selected objects. 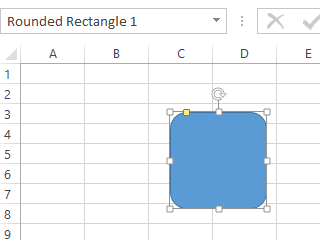 You can insert a shape, such as a rounded rectangle, on a worksheet, to use as button, to run a macro. 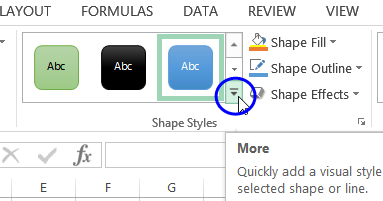 On the Ribbon's Insert tab, click Shapes, then click the shape that you want to use as a button. 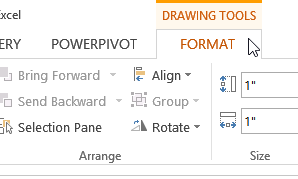 Then, click on the worksheet, where you want the top left corner of the button to appear. A shape will appear, in the default size. The shape is selected, and you can see its name in the NameBox -- Rounded Rectangle 1, in this example. 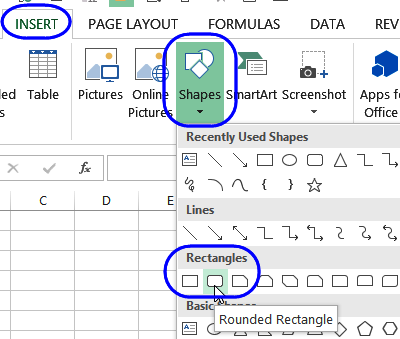 NOTE: To select a shape after a macro has been assigned, right-click on the shape. In the Shape Styles section, click the More button, to open the gallery of styles. 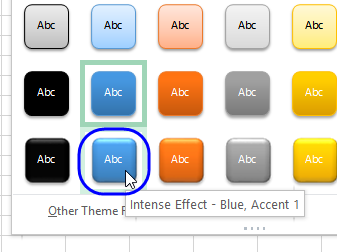 Then, click on one of the Style options, such as Intense Effect. It has a slight shadow, which gives it a 3D effect. 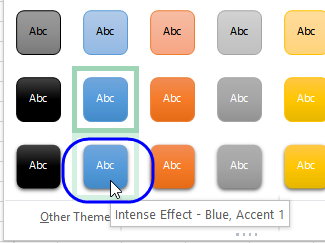 If you plan to make several shapes in the workbook, and want them all to have a bevelled effect, you can change one of the Theme settings. 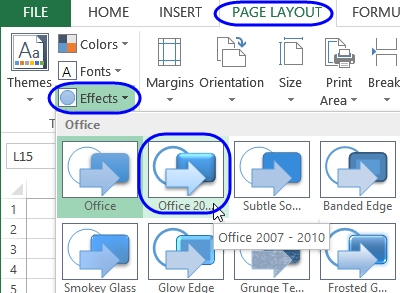 Click the Office 2007-2010 option. 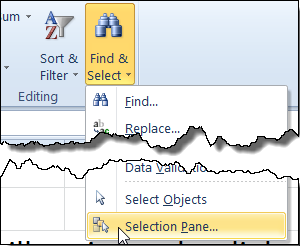 Now, when you look at the Style Gallery, the bottom row shapes will have a bevelled effect, like the styles had in Excel 2007 and 2010. To make it clear what the button does, add some text. In this example, the button will run a macro that toggles the column headings, from numbers, to letters, or letters to numbers. 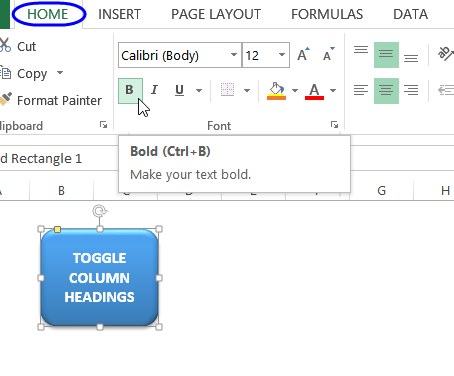 With the button selected, use the tools on the Ribbon's Home tab, to make the text bold, larger size, centered, or any other formatting. 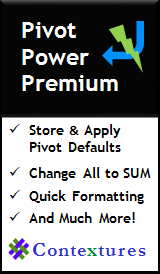 Click on the worksheet, away from the button, to deselect it. Download the sample file for the Macro Button tutorial. 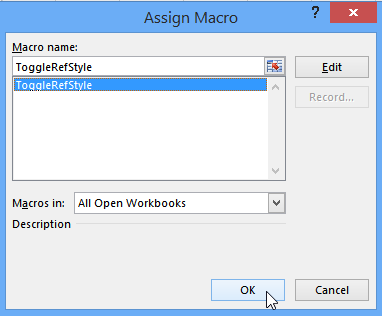 The zipped file is in xlsm format, and contains macros.